This large size (20 inches high by 42 inches wide) hosta has broad, light green/yellow to gold colored foliage with leaves that are moderately corrugated and oblong-ovate in shape with good substance. Pale lavender, funnel shaped flowers bloom from mid-July into August. Although this cultivar of unidentified parentage has been around for a very long time, it was only registered by Peter Ruh of Ohio in 1996 on behalf of the originator, Richard Langfelder who gave a plant to Alex Summers of Delaware in 1964. It may appear to be in the H. 'Sieboldiana' form but it has several significant differences which say it has other parentage according to The Hosta Handbook by Mark Zilis (2000). 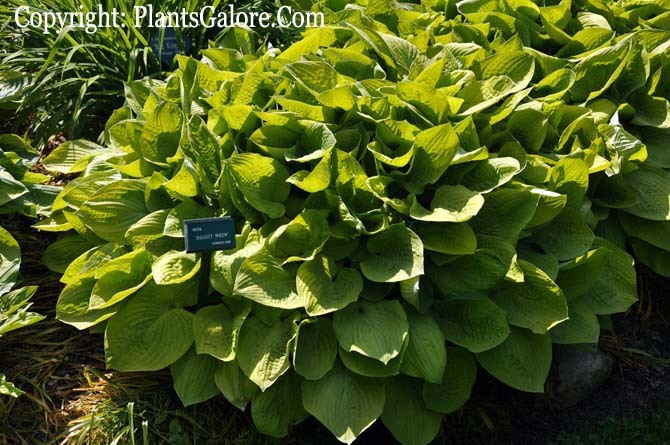 According to The Hostapedia by Mark Zilis (2009), this cultivar "...ranks as one of the oldest and most greatly admired of all gold-leaved hostas. Every collector recognizes this plant...has been an outstanding source of both seedlings and sports. 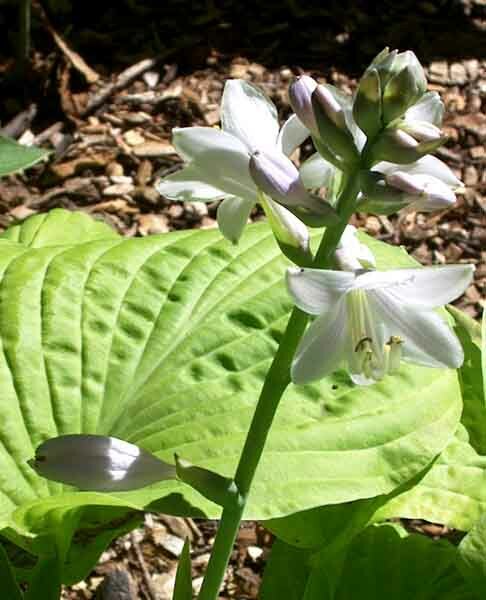 (In many instances, hostas that generate large numbers of sports do not breed well. Great sport producers with limited numbers of credited seedlings include 'Gold Standard', 'Gold Drop, and 'Blue Angel' )." The New Encyclopedia of Hostas by Diana Grenfell (2009) states: "Although considered a classic, it has never quite hit the headlines in spite of its many good qualities, such as its sun tolerance, but is better known for its many glamorous sports...Blooms three weeks later than many yellow-leaved H. 'Sieboldiana'-types." In an article about hybridizing by Tony Avent in The Hosta Journal (1996 Vol. 27 No. 1), Tony gives the following comments on cultivars he has introduced: "H. 'Andy Taylor' - outstanding dark green matte finish hosta with wonderful pure white flowers...An 'August Moon' x H. 'Tardiflora' cross...will never knock your socks off, but truly wonderful!"